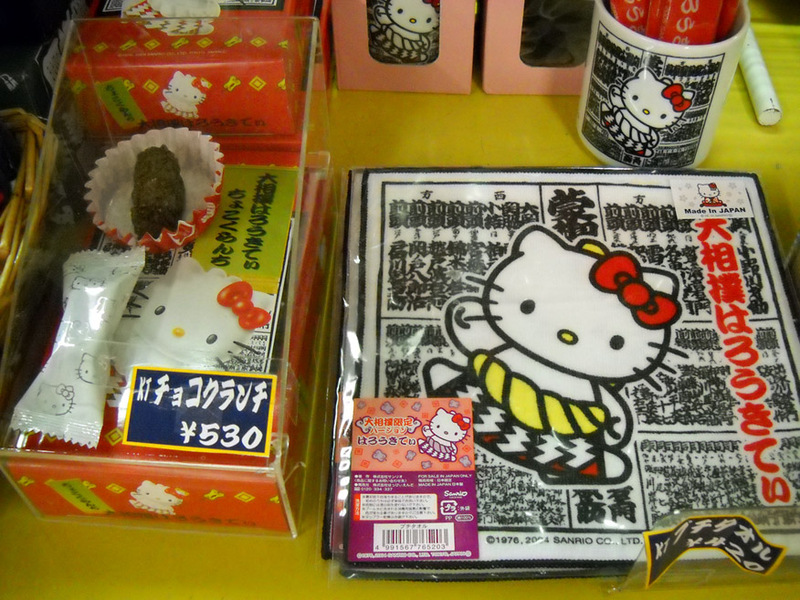 While I was sifting through pictures for my 1000 Things blog, I came across this shot of "Hello Kitty" sumo chocolate crunch candies. Personally, though I think the mouthless cat is so overused that it guts any sense I have of her cuteness, I do think the little handkerchief in a kesho mawashi (ceremonial apron) is really adorable. The chocolate, however, is another matter entirely. 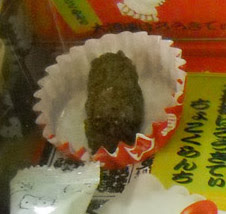 ...it does not look particularly appetizing. 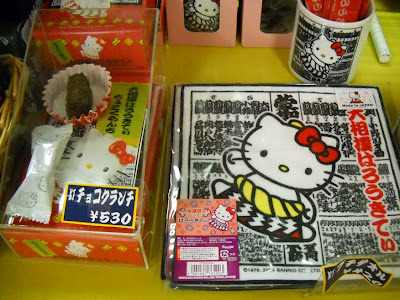 In fact, it resembles what one would fish out of Kitty-chan's litter box. Aesthetics are highly prized in Japan, but sometimes, well, the outer wrapping conceals a failure to refine the image of the product itself. Usually the posts on here make me hungry, but I don't think that's the case this time lol! I'm absolutely with you on this one!